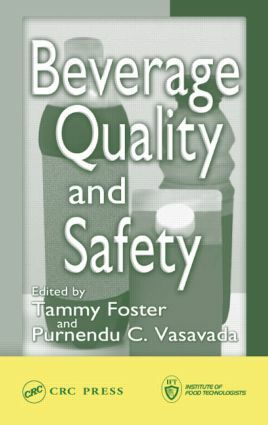 Based on an IFT short course, Beverage Quality and Safety offers information on the latest beverage industry trends related to products, processing, and packaging technologies - including new generation nutraceutical beverages. It also covers important regulatory issues, including federal regulations on HACCP. Among the topical issues it addresses are organic juice processing, active packaging, the microbiology of fruit juices and beverages, alternative processing technologies to control spoilage, and cleaning and sanitation of beverage plants. "All the chapters are well written, presented, and referenced…Researchers and students alike could benefit from this well-written and referenced manuscript." U.S. Food and Drug Administration Juice HACCP - The Final Rule, Donald A. Kautter, Jr.